Puerto Calero, Lanzarote will host the final leg of the 2013 RC44 Championship Tour from the 20–24 November. 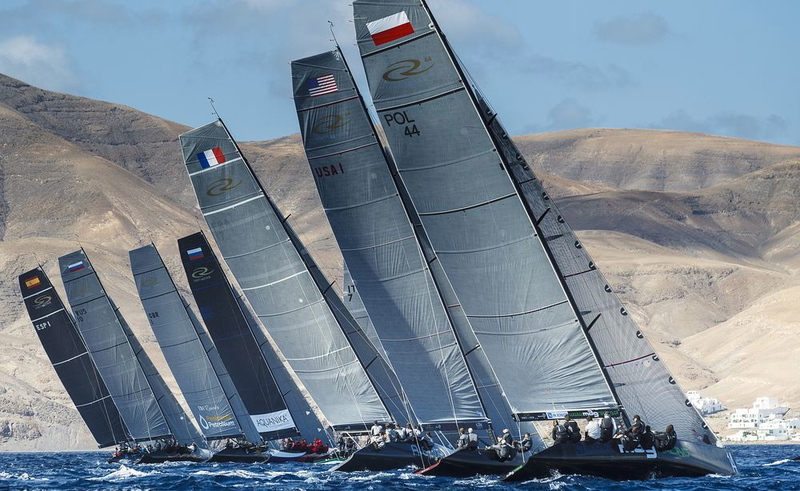 With three titles are up for grabs the 15 competing teams will be fighting it out to be crowned RC44 World Champion, with the RC44 Championship Tour and Match Racing titles still to be decided. Chris Bake has shared the helm of Team Aqua with Cameron Appleton for the match racing this year. The rolling round robin raced on the first day of each RC44 event allows either owners or pro’s to drive. Heading into the final day of match racing in Lanzarote, Team Aqua hold a two point lead over Katusha, helmed by Star sailor Andy Horton. The defending match race champions, Synergy Russian Sailing Team, are one-point further adrift, America’s Cup winner Ed Baird at the wheel. With the owners taking the helm again for the four days of fleet racing, Team Aqua are in pole position to win the RC44 Championship Tour for a third year in a row. They hold a three point lead over Gennadi Timchenko’s Katusha, with Valentin Zavadnikov’s Synergy in third place following their win at the penultimate event of the season in Cascais, Portugal. A top three position in Lanzarote will be enough for Chris Bake’s British flagged team to win their third title, but nothing is guaranteed in this tight one-design fleet. The defending World Champions are Peninsula Petroleum, who won the 2012 title in Rovinj, Croatia. The Gibraltar based team sit fifth overall in the Championship Tour, owner John Bassadone and the team’s regular tactician Vasco Vascotto will be looking to end their year on a high once more. “We don’t have a plan to defend the Championship as such. I don’t think we can with the increasing high level in this class. Our plan will be to improve where we need to, work harder than ever and enjoy ourselves. We will then see where we end up.” explains Bassadone. With the RC44 Tour is returning to Lanzarote for the sixth time, local brother’s Daniel and Jose Juan Calero are re-joining the circuit racing against one another with two separate all-Spanish crews. 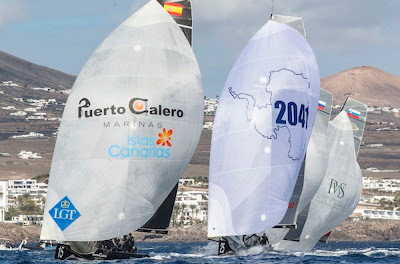 Puerto Calero Residence Club Grey (newly refiited ex Hiroshi) will be skippered by Daniel Calero with Gran Canarian-born Spanish 470 Olympian Onán Barreiros and current Spanish Olympic team Laser sailor Javier Hernández from Tenerife part of the crew. Puerto Calero Residence Club Black will be skippered by Jose Juan Calero with the regular crew including tactician Jose Maria Ponce. 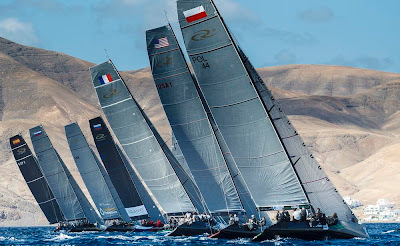 The RC44 World Championships commences on Wednesday 20th November with match racing followed by four days of fleet racing.